Well hello there, loves! 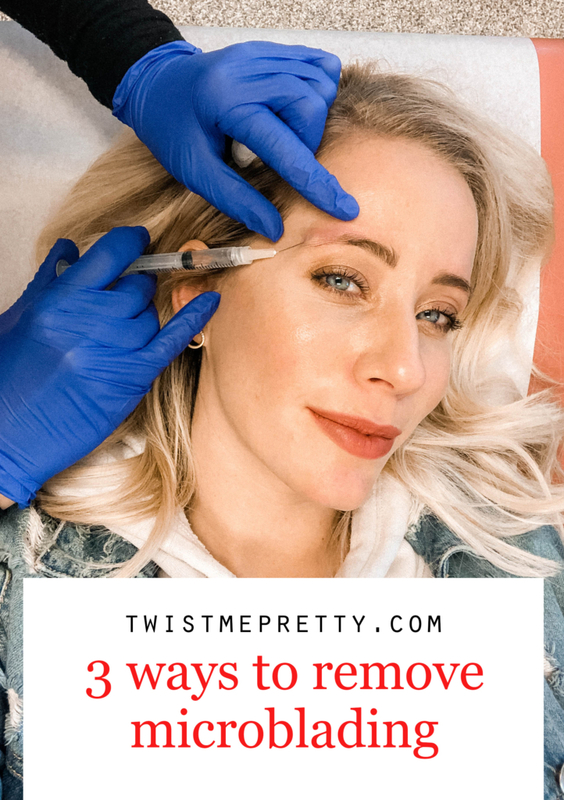 Today I’m sharing 3 Ways to Remove Microblading. 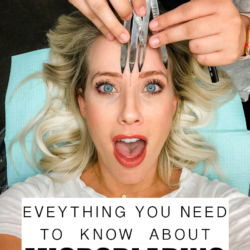 If you’re new around here and want to catch up on how microblading changed my eyebrows and why I’m removing it, you can view this post here. Let’s start with a before and after shall we?! 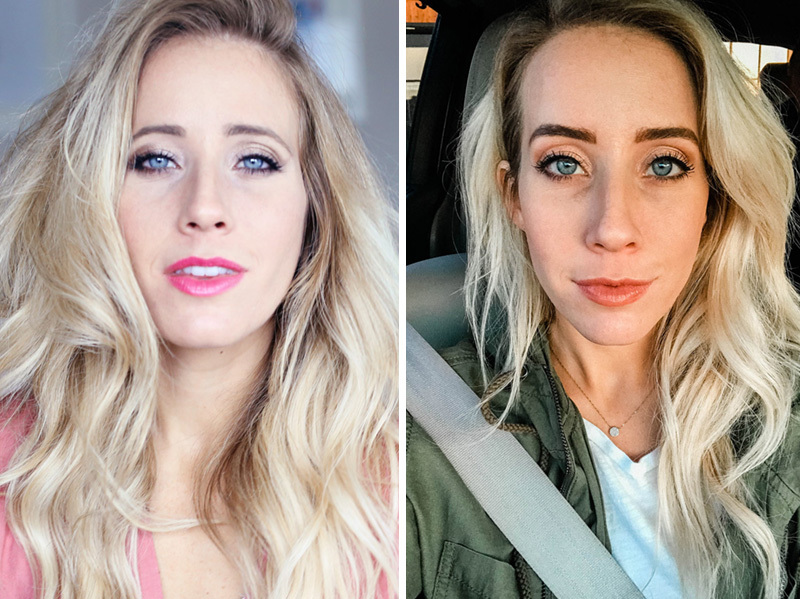 A short four months later the microblading started fading and because of the aggressive shape change I was having a hard time keeping it maintained. 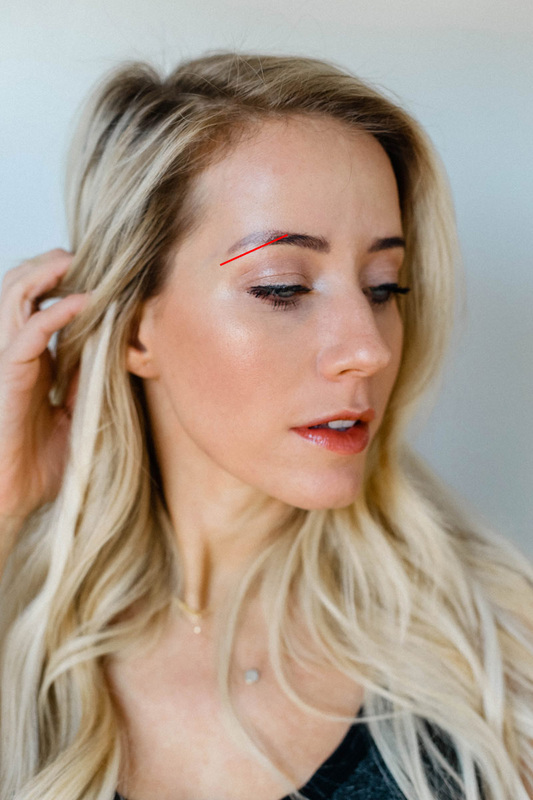 The red line below is where my natural hairs were growing in and you can obviously see the faded microblading above. I wasn’t super excited about that idea because it was going to take forever. My research and the recommendation I received from a specialist at Gateway Laser suggested a few tattoo laser treatments is all it’d take. I was fairly hopeful and decided to go that route. This option is great if you have faded color that you’d like to get rid of. It isn’t as aggressive but it’s also a lot cheaper and there is less down time. 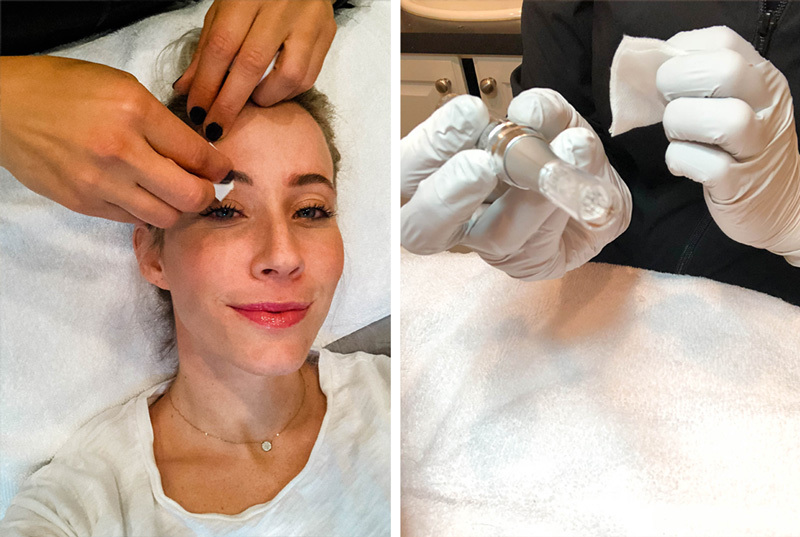 I’ve now had 8 laser tattoo removal sessions and 4 microneedling sessions and I’m here to share what those options look like and what you can expect when removing your microblading. 1. Administer a local anesthetic. In this case – lidocaine. There were a couple times where the laser went outside of the numbed area and it KILLED! I would not recommend going anywhere that only administers a numbing cream. You need a Dr. to administer lidocaine and it’s worth it’s weight in gold! 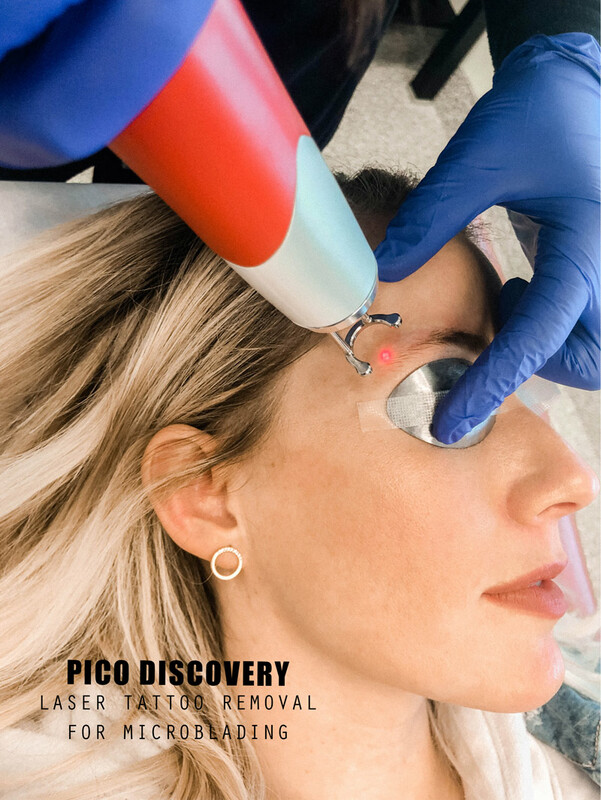 I used what they call the Pico Discovery Laser. I’ve used a couple sister machines as well, but the Pico Discovery did the best job. 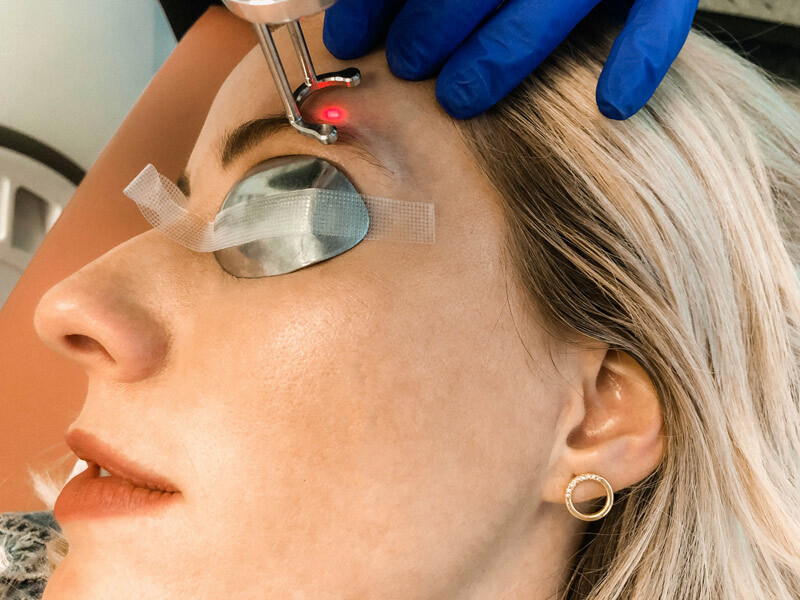 The nurse will give you some super pretty eye covers to put on and then it just takes a minute or so to finish the treatment. You’ll hear a fast beeping noise (which is fairly loud and annoying), and you’ll smell your flesh burning. It’s definitely not something I’m eager to ever do again. Thankfully, the lidocaine reduces the pain so it doesn’t hurt and the appointments are always quick. One thing to note: I chose to only remove the tails even though I have pigment underneath my entire eyebrow. I did this because the laser turns all pigment white, which includes your eyebrow hair. 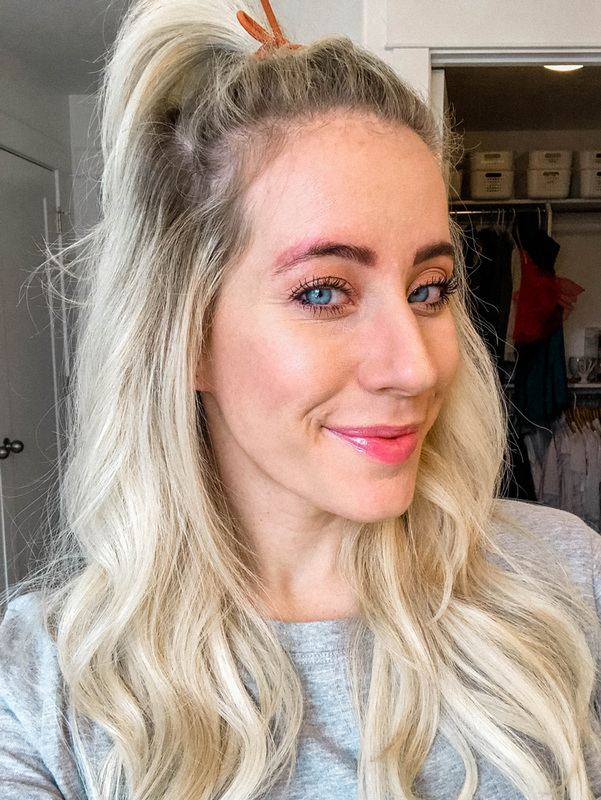 I’m fine with the pigment underneath the front part of my brows because I have hair that grows there that helps mask the color. Plus, I can always fill that part in + I can have it color corrected by another microblader if I choose to. 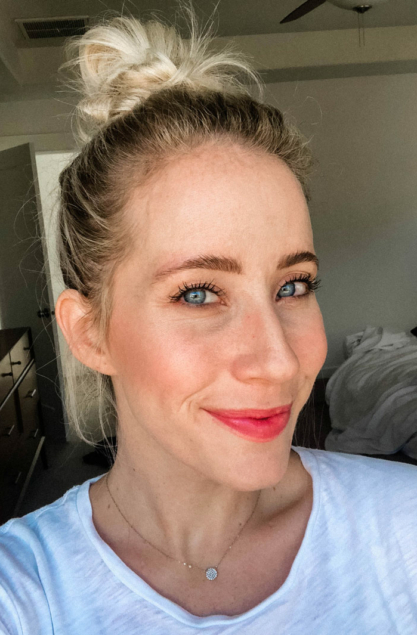 Having white brows for a week or two wasn’t something I wanted to endure! The laser turns where ever it touches this light white color. 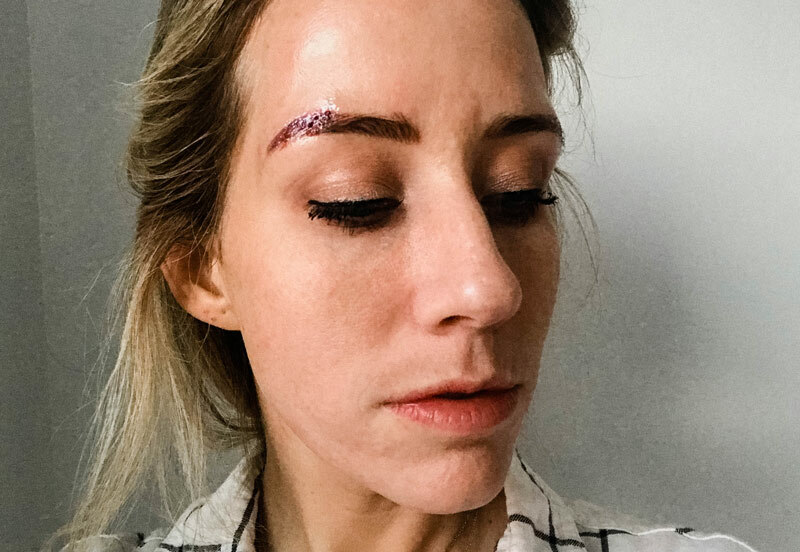 Don’t get too excited, because while it looks like your microblading is gone… it’s not. At least in my case it never was haha! Right afterwards they put some sort of salve on it (I’m not sure exactly what it is). I think it might even be an antibiotic. The lidocane is still working, so you really don’t feel anything at this point. Next up, they put these really pretty bandages over your wound and you go home! Looking exactly like one million bucks! Within an hour you’ll start to feel some pain. If I take 800mg of Ibuprofen right afterwards I’m usually good, and for the most part it doesn’t hurt much. Every now and then, at night, that area will pulse with pain and wake me up, but it’s not bad. The next morning it looks like this…. You’ll wake up to redness where ever the laser touched. It’s red just like this for a couple days and then it starts lightening on day three. Pretty soon, it just looks like dry flaky skin that I usually pick off because I can’t help myself and I go back to my normal routine. While it’s healing, I keep Polysporin on it and after the first night it doesn’t typically hurt or ache anymore. Sometimes, it’s a little itchy. These experiences were FREAKING PAINFUL! You can see the laser broke through skin AND the nurse used so much lidocaine that it gave me swollen little golf balls above my eyes. The healing process was much different as well. I stayed swollen and sore for sometimes an entire week. It would heal all scabby and gross and was just all around painful. 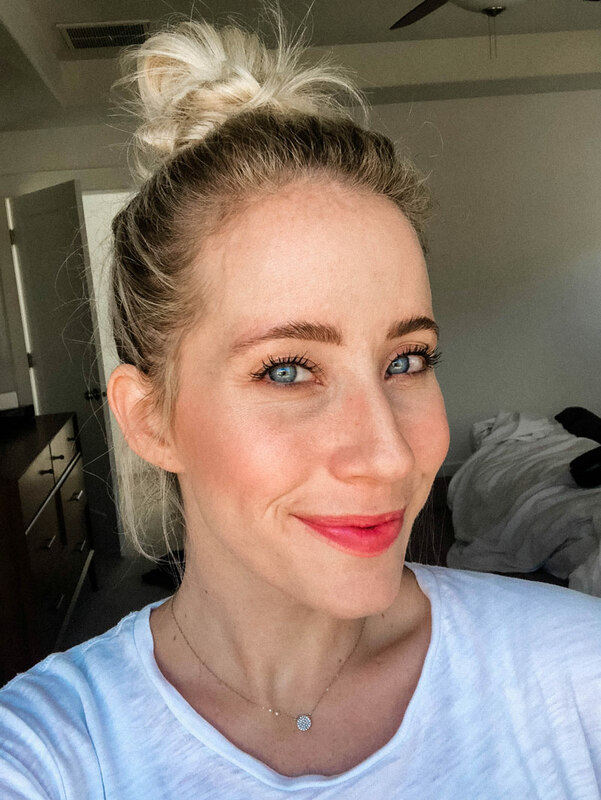 This picture below is like five days after my treatment – I’m still so swollen!!! This was the only experience I’d had with laser tattoo removal until I got a new doctor and nurse and things changed. I’m honestly not sure why? I loved my first doctor and she’s one of the best most competent doctors. So I’m wondering if the settings were maybe a little more aggressive so we could get rid of it faster? 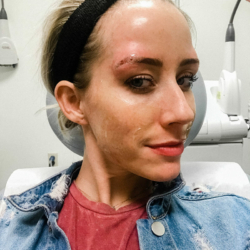 And because of those aggressive settings, they needed to administer more lidocaine which resulted in all that swelling? Who knows. Now you’ve seen two scenarios with laser tattoo removal. 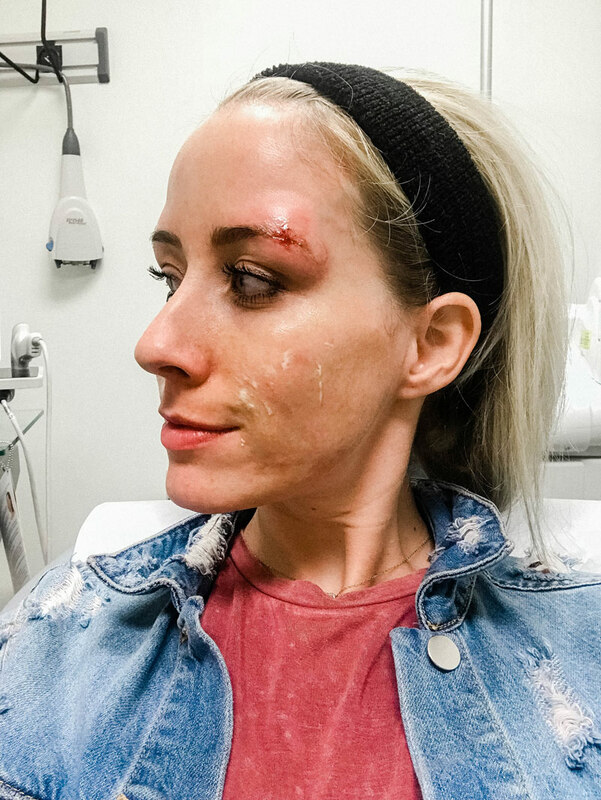 The first way was more annoying than anything– but there’s no swelling, not much down time, not much pain and life resumed quickly. The second way was painful and your life literally stops for a week. It’s not like I wanted people to see me looking like this, so fitting it into my schedule was always hard because I had to arrange things around it. I hope your experience looks more like scenario one! Now if you have fading color that you’re just annoyed with, let me tell you about my final experience. 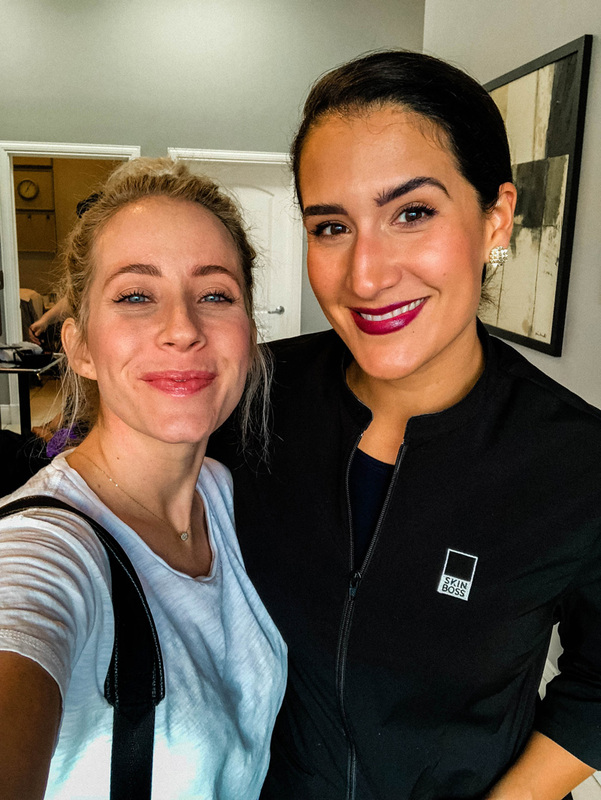 She’s my esthetician that helped clear up my acne (you can read all about that here). 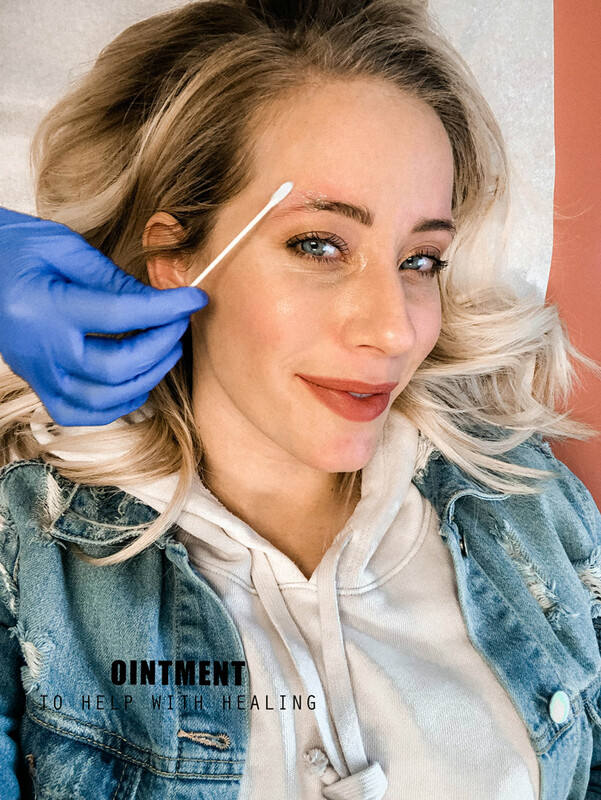 She was giving me a chemical peel and we were just chatting about that dang microblading. She’d wanted to microneedle me, but I hadn’t found the time to actually get it done. 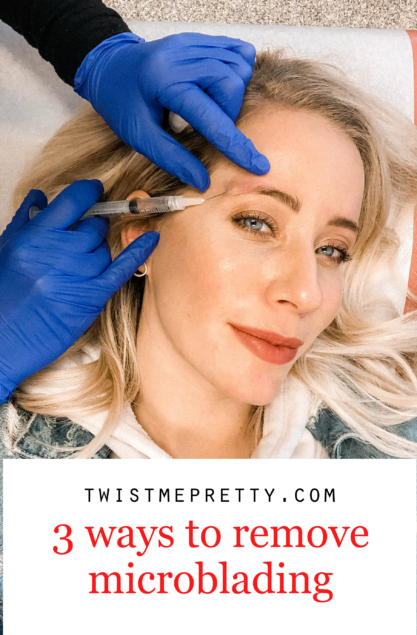 So right then and there, we both wondered what the microneedle could do to the microblading… so we just randomly tried it! 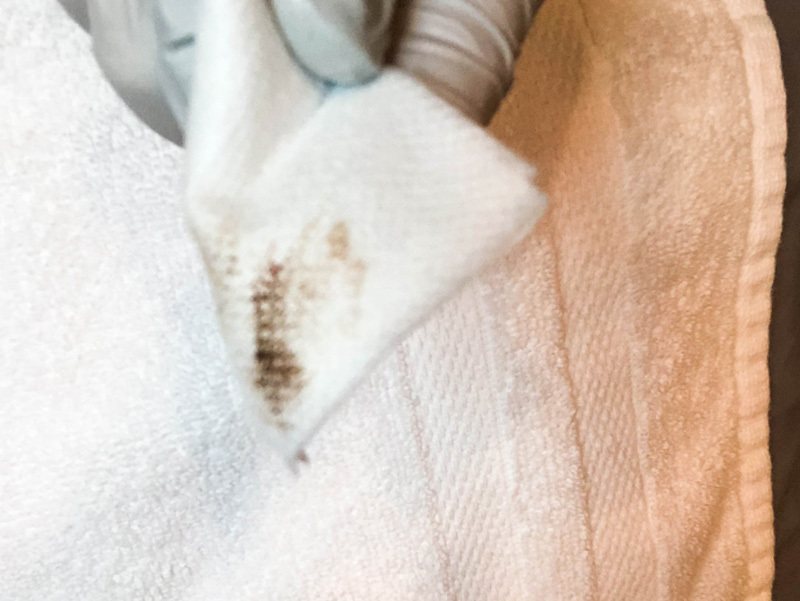 She sanitized the spot and then took her microneedle back and forth along the microblading I was trying to remove. We were both shocked. THE PIGMENT WAS COMING OFF!!!!! The healing experience was much better than the laser. It’s just a little red and can easily be covered up with makeup. After a few days, the skin does get dry and flaky, but it’s easily concealed. 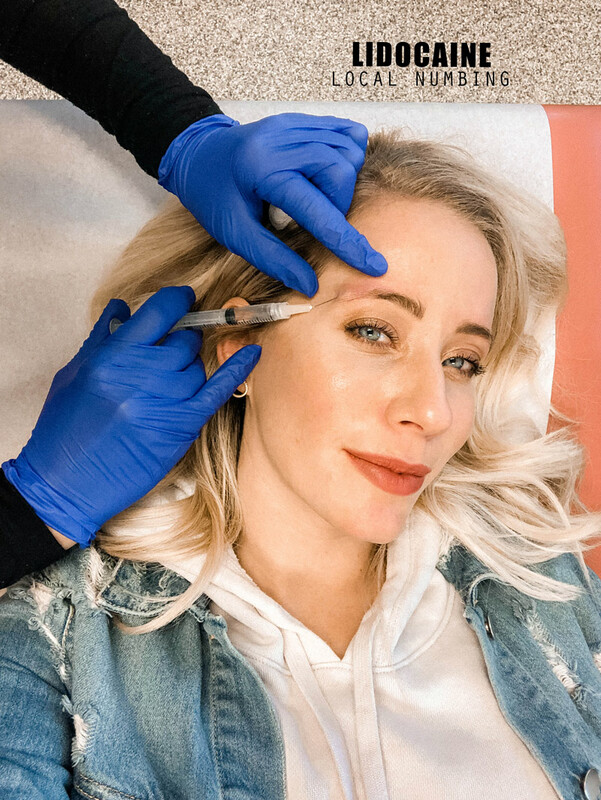 If you have a slight hue you’re trying to get rid of or your microblading has gone grey, but it’s not bad enough to warrant laser tattoo removal– try microneedling. Any esthetician can do it! 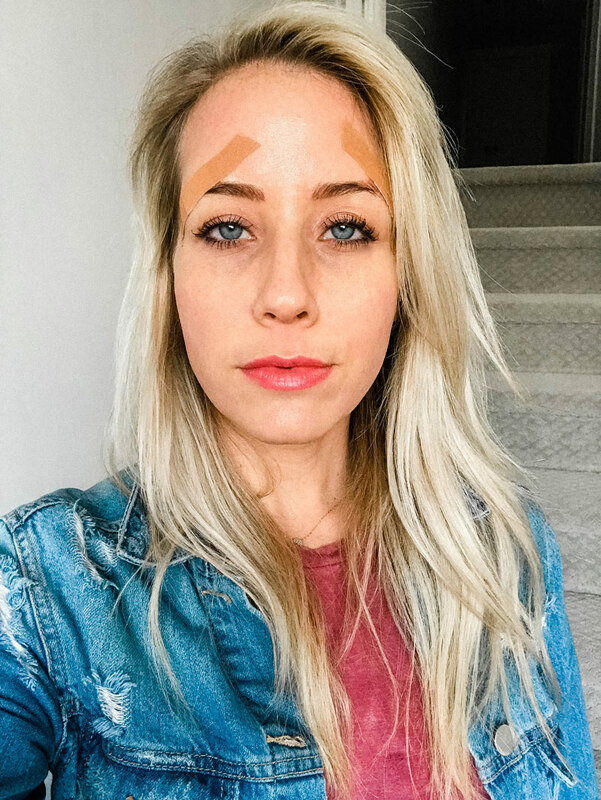 My brows have grown back in (thank goodness), and the microblading looks just about gone. 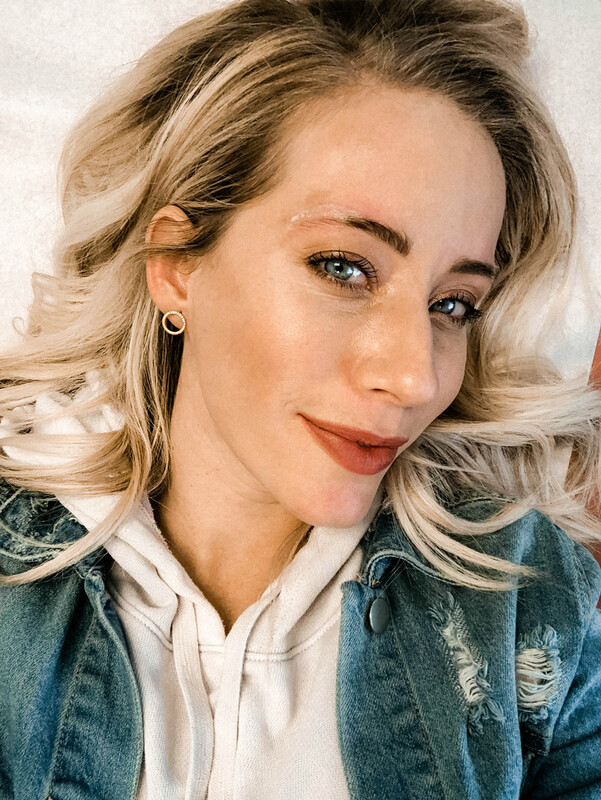 I think I’ll need one more laser tattoo removal and then I’ll just do microneedling until it’s as faded as I want it to be. I’ve been chatting with Tiffany from @enhaneartistry and I do believe I’ll be getting it done again. But this time– I’ve asked all the questions, I know what’s at stake, I have opinions and know exactly what I want. 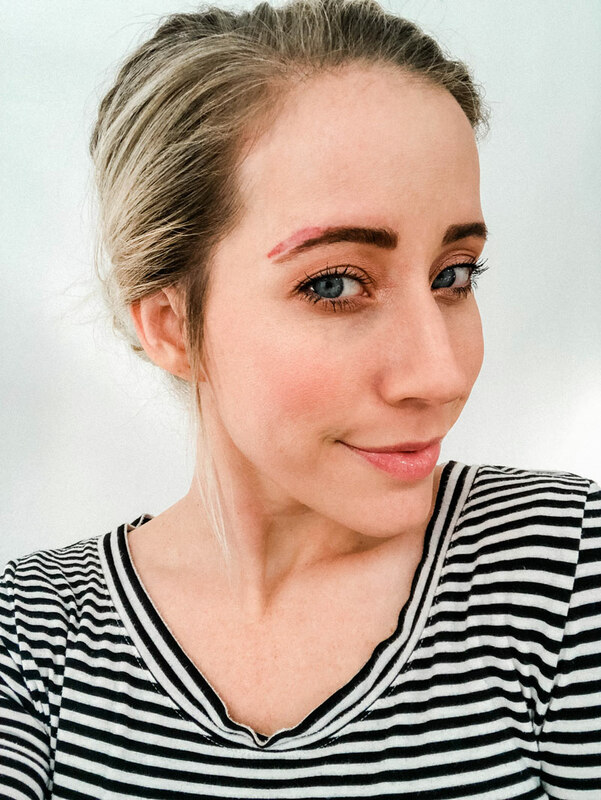 I’m definitely not going to treat microblading as lightly as I did the first go around. I do believe though, that I would have had an entirely different experience if I’d gone to an artist who believed in enhancing my natural shape rather than changing it. It’s definitely been a learning experience for me and based off the comments and dm’s and emails I get about this topic, I think I’ve been able to help a lot of people. So, I’m still seeing the silver lining. Just excited to have this chapter of my life over! 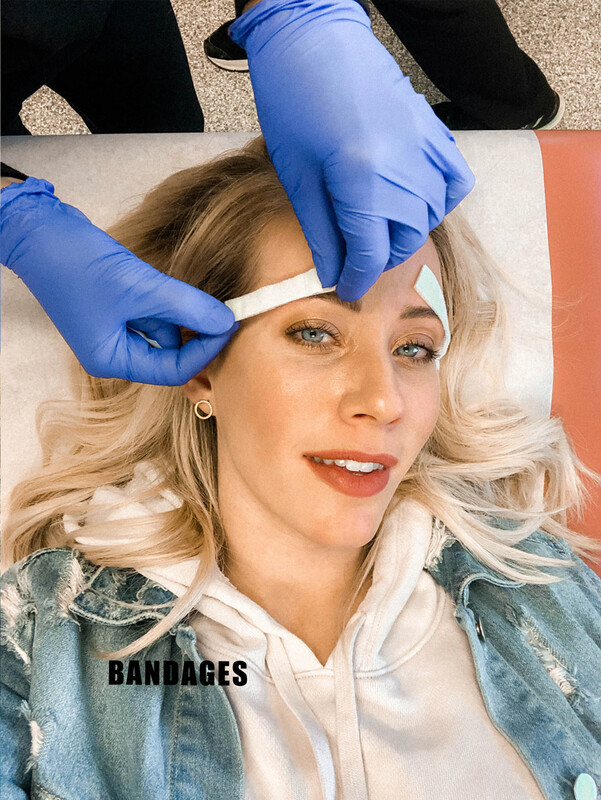 Have you ever had microblading done? 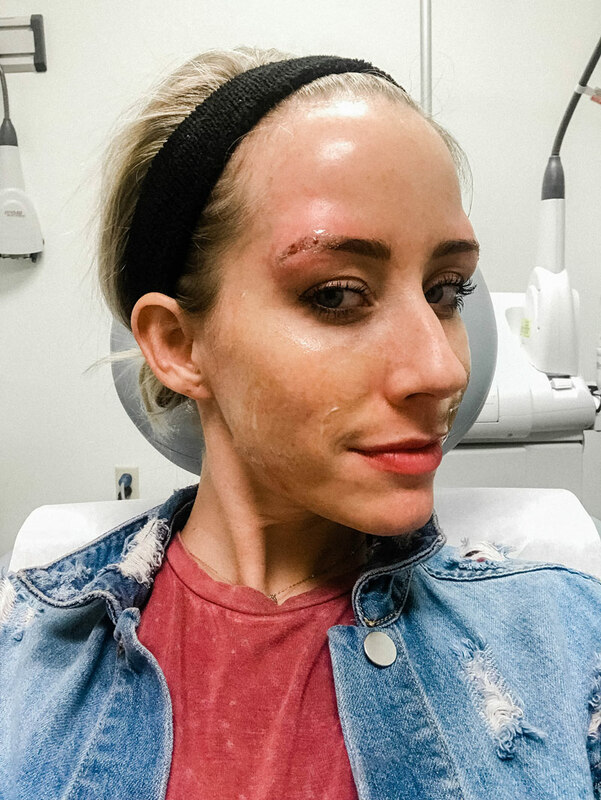 Have you ever had a tattoo removed? What was your experience like? 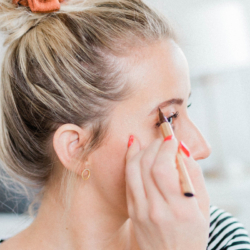 I’m sharing my brow routine soon and also 10 things to watch out for before you get microblading and will update this post with links as they are finished!